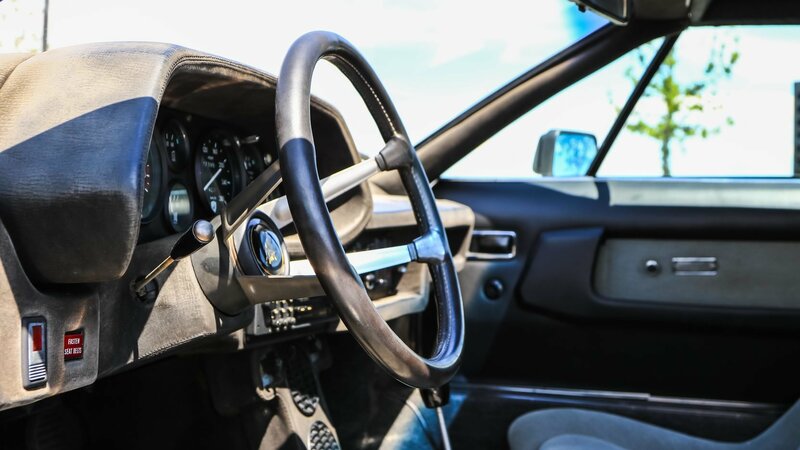 Lamborghini launched the Silhouette in 1976 as an attempt to appease customers that didn’t buy the Urraco, the company’s first V-8 model, with a car that featured the same underpinnings but a more modern styling in tune with the Countach. Sadly for Lamborghini, it didn’t work out, but Lamborghini still had the Jalpa up its sleeve. The Silhouette was a more angular-looking sports car, in tone with the Countach. It had square, flared wheel arches, an aggressive nose, and a sleek rear section with two black air vents covering the area aft of the B-pillar. The wheels were also new and they would go on to become a sort of a staple on Lamborghini models. The Silhouette was also one of the few to not be named after a fighting bull or a breed of bulls and the first from Sant’Agata Bolognese to feature a removable targa top. The Silhouette, in keeping with the budget sportscar ethos pushed forward by Ferruccio when conceiving the Urraco, was never meant to be an out-and-out performer. As such, with a 3.0-liter V-8 behind the seats, the power output was advertised at a docile 266 horsepower – 40 less than a modern-day Seat Leon Cupra R hot hatch- with a resulting top speed of 162 mph or 12 mph less than a de-restricted Audi RS3 hot hatch that you can buy in 2018.